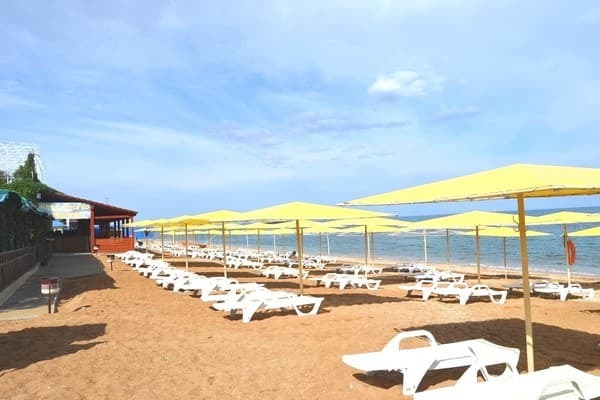 Hotel "Feodosia" offers a comfortable stay on the shore of the picturesque Feodosiya Bay, 150 meters from the beach. 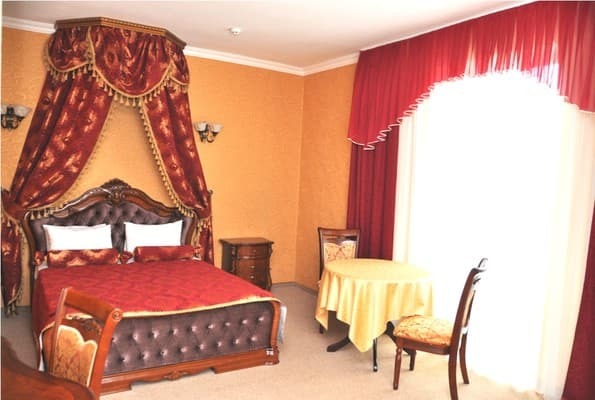 The hotel is located in the historical place of Feodosia, near the embankment of Ivan Aivazovsky. 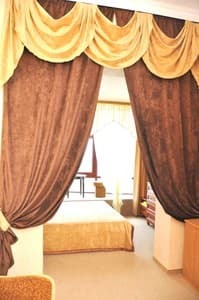 The hotel offers 79 rooms equipped with everything necessary for a complete rest in a romantic and quiet place of the ancient city. 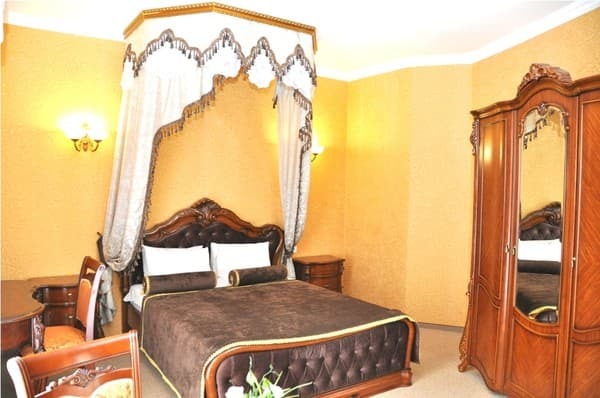 Guests of the hotel Feodosia will appreciate the comfort, comfort and interior of its rooms. All rooms are equipped with electronic locks, beautiful modern furniture, air conditioners, refrigerators, TVs, cable TV, mini-safes. Free Wi-Fi and secure parking are available. A wonderful view from the window to the sea surface, the old part of the city - all this awaits in the hotel rooms. 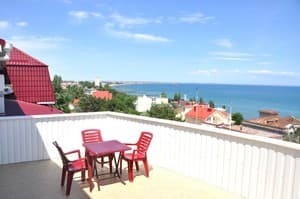 The distance to the railway station is 500 m.
Description of the room: The cozy single room with sea view is equipped with air conditioning and TV. There is a safe and a fridge. The furniture includes a sofa and a wardrobe. Description of the room: The total area of ​​the room is 22 sq.m. In the room: modern furniture, an electronic lock on the front door. Description of the room: Cozy and bright rooms, total area of ​​27 sq.m., create a quiet and homely atmosphere. 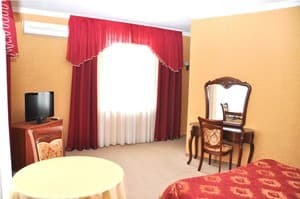 The rooms are designed in classical style, characterized by comfort and a cozy atmosphere that promotes relaxation. 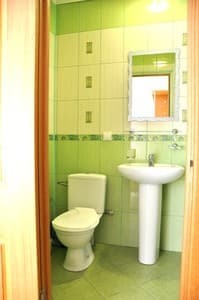 Description of the room: The area of ​​the room is 27 sq.m. 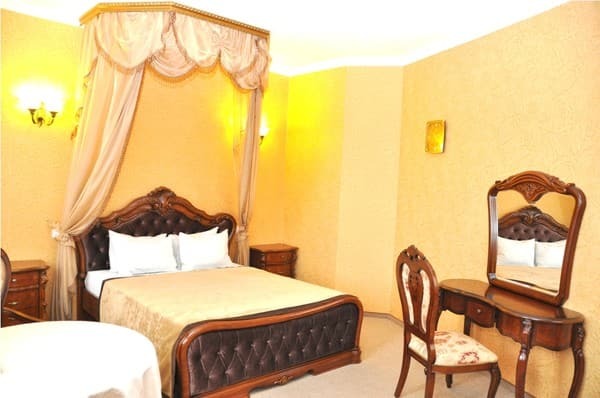 They are bright and cozy rooms in different colors, equipped with modern and comfortable furniture, in which you will find everything you need for rest, and if necessary, for work. Description of the room: Rooms of the category "Suite" (40 sq. M.), Are two adjacent rooms: a comfortable bedroom and a cozy living room. Spacious and bright rooms, designed in classical style, with a magnificent view of the sea, are perfect for both relaxation and work. The combination of a classic interior, comfort and coziness will give an unforgettable experience. 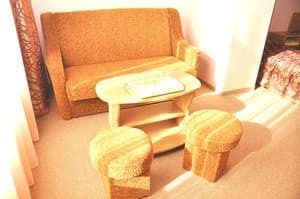 Extra bed for an adult (including breakfast) - 170 UAH, for children under 12 years - 120 UAH. Children under 5 years are accepted free of charge without providing extra bed. 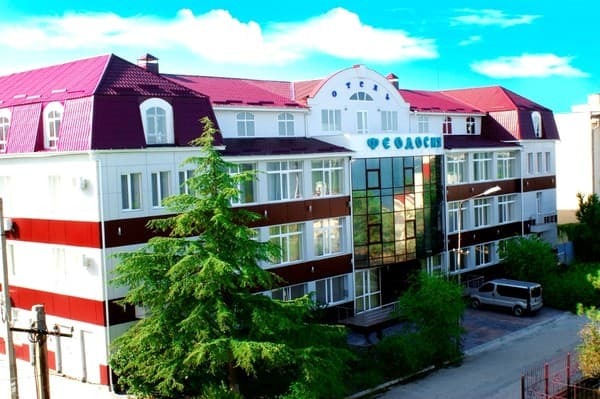 The hotel is located in the historical place of Feodosia, near the embankment of Ivan Aivazovsky. From the railway station of the city of Feodosia, walk to the hotel (500 m). It is also possible to pre-order a transfer from the stations and from the airport in Simferopol (130 km). On the personal car: 1. From the side of Dzhankoy: turn to the right at the entrance to the city, to the 2 nd crossroads from the street. Chkalov 500 m, then left to the intersection with the street. Listevnichey 1.5 km, then to the left before crossing from the street. Fedko 100m, then to the right 800 m, to the intersection with the street. Pushkin and left.